Which brand of Pellets are suited for Yoder Pellet Grills? Yoder owners, please be aware that not all brands of pellets are created equal! Most brands will have very different burn times, so buying a cheaper brand or a bigger bag might actually cost you more. 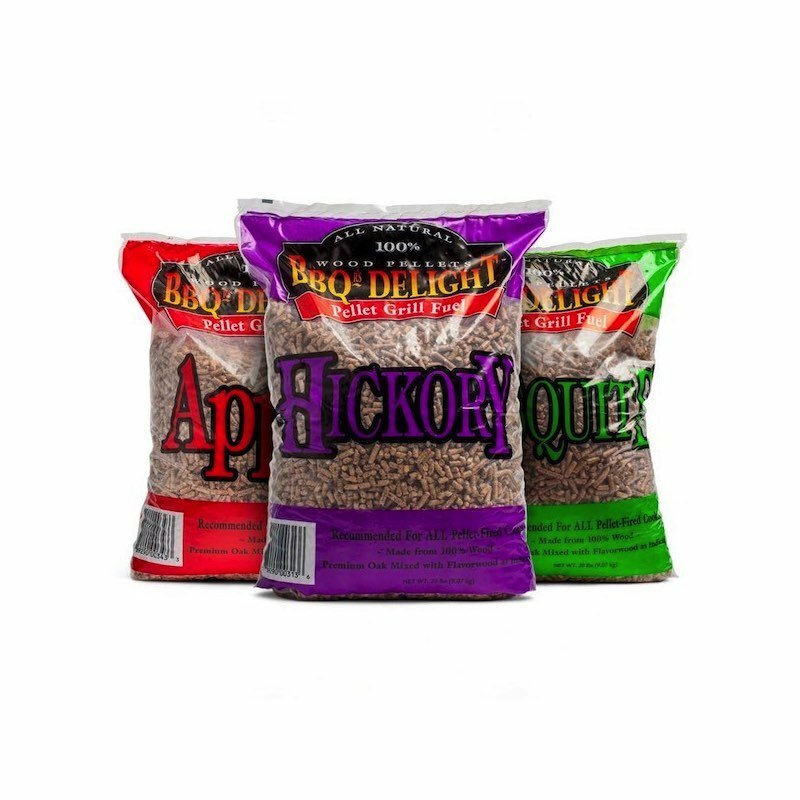 At the Yoder Smokers factory in Kansas, all development, programming, testing and cooking is done exclusively using BBQR’s Delight pellets, and for very good reason. BBQR’s Delight pellets are the very best quality for your Yoder, for burn time & performance for your Yoder. BBQR’s Delight pellets blend their Hickory & Fruit-woods with red and white oak, which doesn’t have much flavor on its own, but it sure gives a beautiful color and a clean burn. BBQR’s Delight pellets contain no Alder wood as Alder is a hard soft wood and it doesn’t burn very clean. Not all other brands of pellets include Alder, so there are still other brands available in Australia to choose from. BBQR’s Delight pellets are available Australia wide at all Yoder retailers and some other stockists. BBQR’s Delight pellet flavors imported into Australia include: Hickory, Oak, Pecan, Cherry, Apple, Sugar Maple, Black Walnut & Jack Daniels. If you are at all concerned that your Yoder is not performing correctly & you are using another brand of pellet, please empty your old pellets, clean your Yoder YS Pellet Grill thoroughly and fill your hopper with BBQR’s Delight Hickory Pellets & see ( and taste ) the difference.